OAKVILLE, Ont. 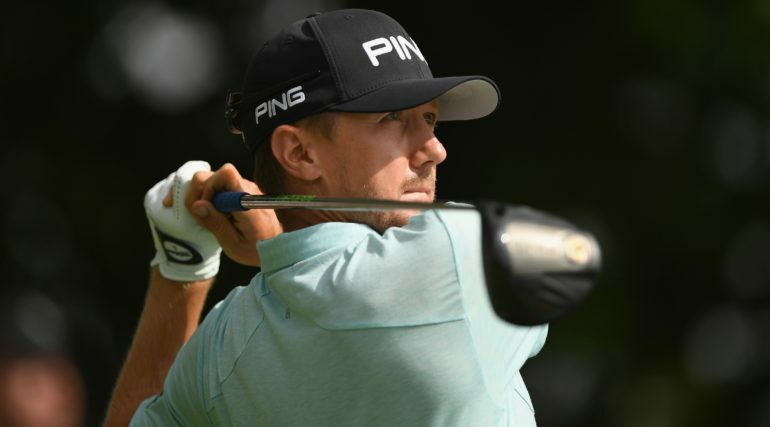 – A small boy followed Mackenzie Hughes around the final 11 holes Saturday at the RBC Canadian Open, easy to spot in a huge Toronto Maple Leafs jersey that hung down to his knees. Hughes had delighted the boy – and the crowd gathered at the seventh hole at Glen Abbey, know as “The Rink” – when he walked up to the green wearing the Leafs jersey he’d autographed. Spotting the boy in the crowd, he tugged off the sweater, reached across the rope and handed it to him. The lone PGA Tour stop north of the border wears its Canadian pride on its sleeve, and Hughes was happy to play his part. The 27-year-old from Dundas, Ont., just outside Hamilton, had plenty of fans himself Saturday as he climbed 24 spots up the leaderboard with his 5-under 67 in the third round. Hughes is in a group of eight tied for 13th at 11 under, six shots behind the four leaders. Hughes opened with four birdies on his first five holes. On No. 5, he hit a phenomenal recovery shot from under the trees to get onto the green, then finished with a long putt for birdie. He double-bogeyed on No. 11, but finished strong with five birdies on the final six holes. Dustin Johnson, Kevin Tway, Byeong Hun An and Whee Kim shared the lead at 17 under. Calgary’s Ryan Yip shot a 66 to climb 40 spots into a tie for 21st, seven shots off the pace. 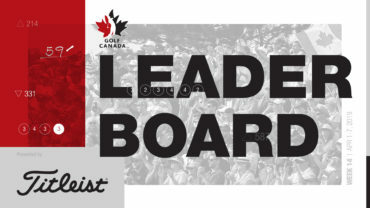 Nick Taylor of Abbotsford, B.C., shot 72 and dropped 19 spots to a tie for 29th, David Hearn (69) of Brantford, Ont., and Ben Silverman (73) of Thornhill, Ont., are 10 shots back and tied for 43rd. Roger Sloan of Merritt, B.C., and Chris Crisologo of Richmond, B.C., Canada’s only amateur to make the cut, are tied for 53rd, 11 shots back. Glen Abbey first dressed up its par-3 seventh hole last summer in celebration of Canada’s 150th birthday last year. “The Rink” resembles an arena, with hockey boards replacing the rope lines. Officials wear referees’ jerseys. A day earlier, Hughes took a shot with the Leafs sweater on, charming the crowd when his chip from just off the green went in. Moments after Saturday’s round, talk turned to the Maple Leafs’ major off-season acquisition John Tavares. Hughes had a breakthrough in the fall of 2016, when he won the RSM Classic in his fifth PGA Tour start as a member. He went wire-to-wire for the win and became the first Canadian-born golfer to win on the tour since Taylor at 2014. 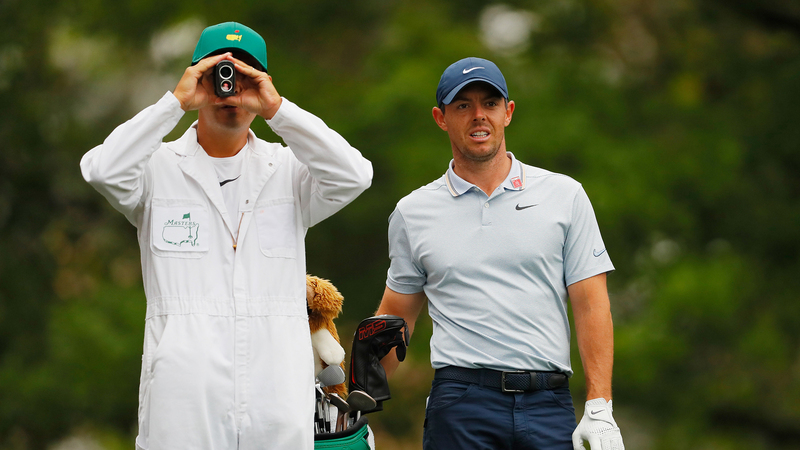 Taylor had a disappointing Saturday, salvaged slightly by an eagle on the 18th hole. The 30-year-old, who’s 127th on the FedExCup rankings, needs a solid result Sunday, and down the stretch of the season, to climb to into the top 125 and keep his PGA Tour card. One of Taylor’s highlights of the day also came on No. 7, birdying to a loud round of applause.